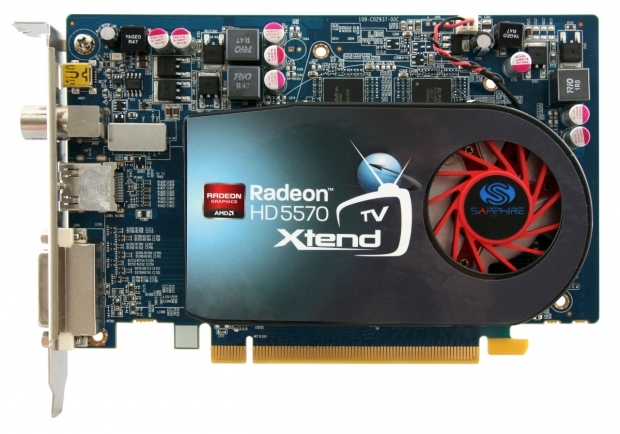 The SAPPHIRE HD 5570 XtendTV card is a single slot PCI-Express graphics card with 1GB of GDDR5 memory and HDMI and DVI outputs - and a built in programmable TV tuner. Connected to a standard TV antenna signal, it will receive and decode all of the local free to air TV and radio stations*. Just as with a regular TV tuner, the user can watch TV on the host PC using Media Center - record, save and playback programs at will. But XtendTV does more. Installing the FlexiStream software on the PC in which the card is installed enables the PC as a streaming server and users can watch all of their home TV programmes anywhere in the world using the XtendTV client on a remote PC or laptop**. 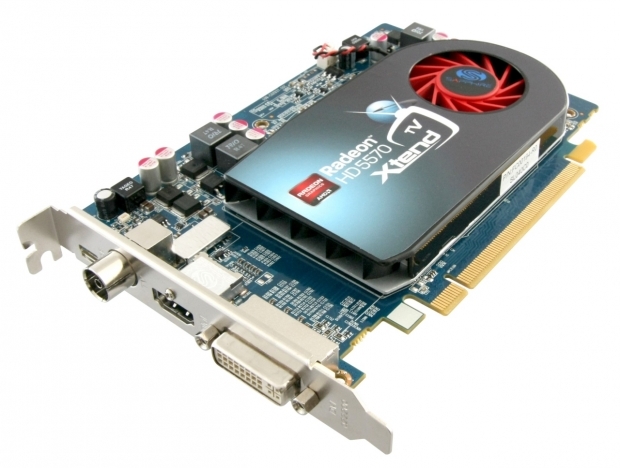 Based on FlexiTV and FlexiStream technologies from Mirics, the SAPPHIRE XtendTV solution uses the Accelerated Parallel Processing (stream processing) capability of the on-board HD 5570 graphics chip to decode the TV signals smoothly and to compress the stream for viewing over the internet. No licence or IP issues ! With SAPPHIRE Xtend TV you are watching programmes on your own PC - streamed to you over the internet on a one-to-one basis - so there are no blocks on the availability of programmes wherever you may be - and no additional licence required. The HD 5570 is a member of the SAPPHIRE HD 5000 series which is supported by AMD's Catalyst DirectX 11 WHQL certified graphics driver. This generation of hardware delivers support for all of the key Microsoft DirectX 11 level features including DirectCompute 11 instructions, hardware Tessellation and multi-threaded communications with the system CPU. It also supports Accelerated Parallel Processing, accelerating supported applications such as video transcoding and rendering tasks by executing instructions on the GPU architecture rather than the system CPU.